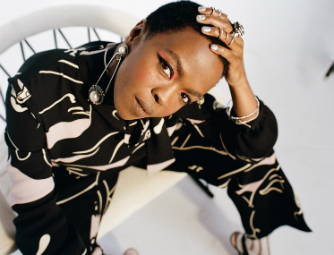 Lauryn Hill is confirmed as one of the headliners for this summer's Love Supreme Jazz Festival, which returns to Glynde Place in East Sussex, this July. Having toured the world in 2018 to celebrate the 20th anniversary of seminal album The Miseducation Of Lauryn Hill, the rapper and singer will visit Glynde to perform a career-spanning greatest hits set featuring tracks from her multi Grammy award-winning solo album alongside classic Fugees songs and new material. The Miseducation of Lauryn Hill remains Hill's only solo studio album. It received critical acclaim, showcasing a representation of life and relationships and locating a contemporary voice within the neo soul genre. Soon afterward, Hill dropped out of the public eye, dissatisfied with the music industry and suffering with the pressures of fame. Her last full-length recording, the new-material live album MTV Unplugged No. 2.0 (2002), sharply divided critics and sold poorly compared to her first album and work with the Fugees. Hill's subsequent activity, which includes the release of a few songs and occasional festival appearances, has been sporadic. "Lauryn Hill is someone who's always featured at the top of our wish list – she's an uncompromising innovator who has had such an enormous impact on the development of contemporary music. "'The Miseducation Of Lauryn Hill' has truly stood the test of time and we're all very excited to be hosting her at this year's festival." Tracks such as Doo Wop (That Thing), Ex-Factor and Everything Is Everything helped catapult Hill to global superstardom and cemented her position as one of the most pioneering acts of her generation. Tickets for the festival, which runs from July 5th – 7th, start at £54 and are on sale now from www.lovesupremefestival.com.